Post 4. Dad was a D.J. 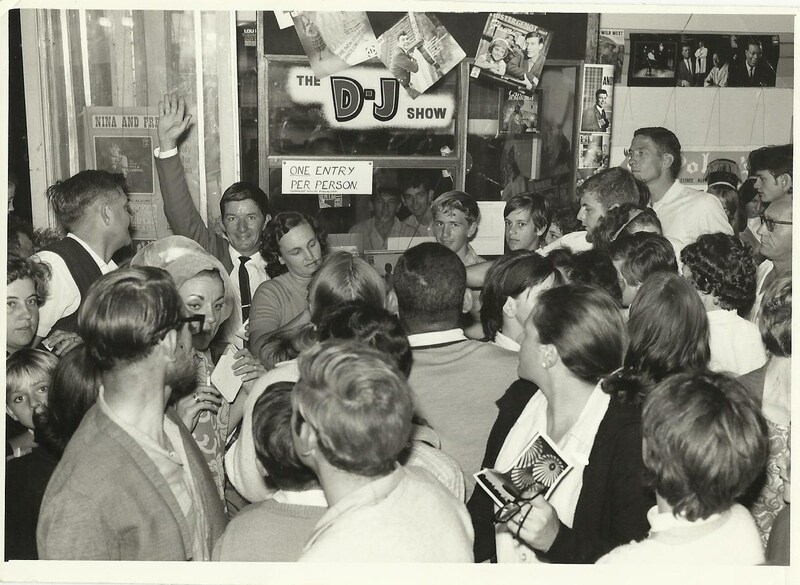 Dad was also the DJ at the Bluff Drive-in for many years. 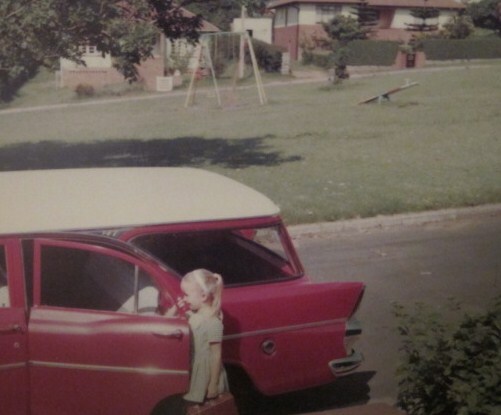 Every Friday and Saturday night we would pile into our embarrassingly big-winged red Holden station wagon and head off for the drive-in. Goodness knows how many we packed in there; blankets, pillows, friends and anything else that would fit. The memories are numerous and pleasant except for one. Parking. Poor Wilf just couldn’t get it right. The bumps were a challenge. He either parked too far to the left or too far to the right. Then he didn’t go up enough and the bottom of the screen was cut off. Then he was too far up and those at the back couldn’t see the top of the screen. It happened every time. He just couldn’t please us all. When Val started manifesting, we all jumped out and disappeared with our blankets and pillows and Wilf went into his DJ box to entertain the world. He played the latest songs and ran competitions during interval and between movies. He had Lynne McCann the go-go girl dancing on the roof of a car, people running all over the Drive-In to find clues and hopefully win prizes. He was great. He was also blissfully unaware that his teenage children were meeting boyfriends and girlfriends and smooching in all kinds of dark drive-in places. 16 year old Sue (the first born) dressed in her full white cat suit with loop belt, was approached by a rather suave and charming young man who asked for a bite of her chocolate crunchy. His name was Rigby. There was a big rusted out ship behind the screen and we spent hours climbing around in it before the movies started and during every break that there was. The Holden and the park. Rain and the drive-in should not have been compatible but they were. It was a time when our whole family snuggled up under blankets and watched the movie between the to-ing and fro-ing of the windscreen wipers. Driving home, tired and movie-d out was amazing. When we were much smaller, the four of us would lie on our backs in the back of the station wagon and listen to the soft voices of our parents talking all the way home. Lying on my back, with my eyes closed, I got quite good at working out all the bends in the roads, which traffic light we were stopping at, which part of the Southern Freeway we were on, when we were entering Woodlands, our driveway at 28 Rolleston Place. At that point my eyes would close and I would pretend to be asleep. Wilf and Val would then make trips to carry us into the house and put us all into bed. Dave (18 months my “senior”) once made the mistake of opening his eyes and saying, “Thanks dad” as he was put onto his bed. That was the last night of carrying for him. I wasn’t as polite and just a little bit smarter.